Cycling is becoming almost as popular in the Niagara region as touring vineyards and rubbernecking at waterfalls, as more and more visitors to the region discover the hundreds of miles of trails that meander throughout the area. Regardless of what kind of cyclist you are, there are scores of opportunities to experience the place, whether you’re looking for a unique way to sightsee or you’re looking for a genuine challenge. For the tourist who wants a vacation unlike any other, here are four reasons you should bring your bicycle with you — or rent one when you get here — when you come to Niagara Falls. As long as your children aren’t too little to put in some mileage, there are trails throughout the region that are safe and fun for families. 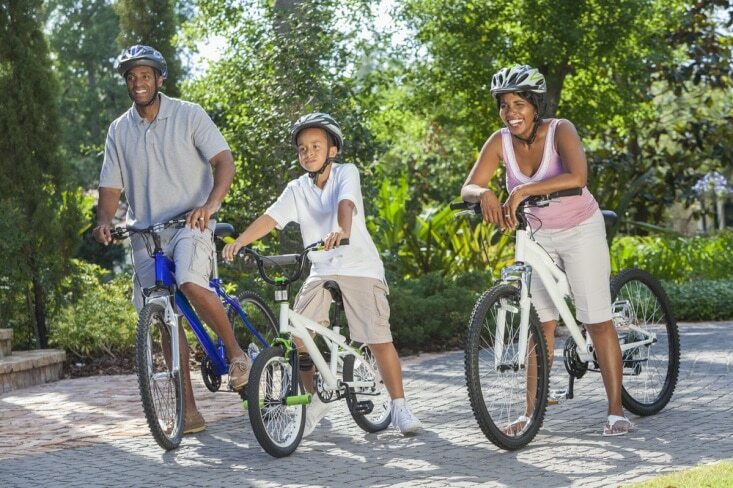 One of the best parts of a family vacation is undertaking a new experience together, and even if you’ve never gone on a group bike trip before, Niagara is a great place to try your hand at your first one. Head out on the Friendship Trail if your children can put in at least 10 miles. Part of the Trans Canada Trail, this wide, paved path runs between Port Colborne and Fort Erie along a former Canadian rail trail. There are plenty of stops and detours along the way to lakeshore beaches, restaurants, and the like, too, so you can easily make a day of it. 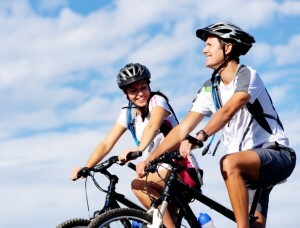 If your children are younger, consider biking just part of the way along the Niagara River Recreational Trail. For some reason, bicycling through lush and fertile farmland doesn’t feel much like exercise, and that’s part of the beauty of biking Niagara: The sights, sounds, and smells of the region come alive when you’re enjoying them in the open air. It’s a great way to get around and experience the place, and because it provides such a rich, fun, and exciting experience, the fact that it’s also exercise will rarely cross your mind. More and more, bicycling throughout all of Canada, and especially Ontario, is getting easier as more and more people participate in cycling and more and more trails and routes open up. Whether you prefer mountain biking, road cycling, or sticking to paved, specialty trails, the Niagara region has opportunities for you, as well as tours, group rides, and bicycle shops. One of the best parts about exploring a region by bicycle is that doing so invites a pace that allows for a totally different experience than what can be had when you travel by bus or car. Instead of racing through the countryside, passed ditches of wildflowers, and acres of ripening vineyards, you’ll actually notice the colors and textures within the scenery. You’ll spy birds in nests, and see and hear farmers at work in their fields. Instead of treating specific parts of the region as worthy of being destinations, you’ll experience it all as worthy of attention due to the slower and simpler pace that traveling by bicycle affords. So, bring your bicycle to Niagara the next time you book a stay, and experience the region in a completely brand-new and revelatory way.